March 2, 1928: “The Gumm Family” (Judy, her mother and father, and two sisters) performed at the cast party for the cast of “The First year,” held at their home in Lancaster, California. 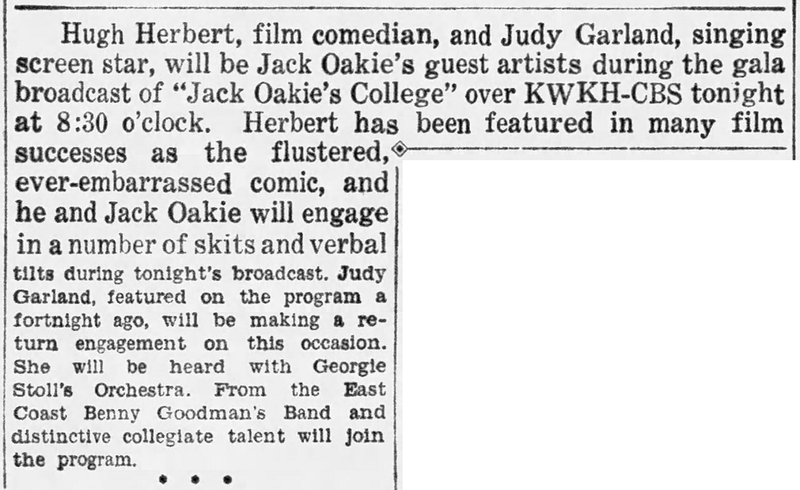 March 2, 1937: Judy, now a series regular, made her weekly appearance on the “Jack Oakie’s College” radio show. She sang “Something In The Air,” and, in tribute to Sophie Tucker (who she would soon work with), “Some Of These Days.” No recording of this broadcast is known to exist. 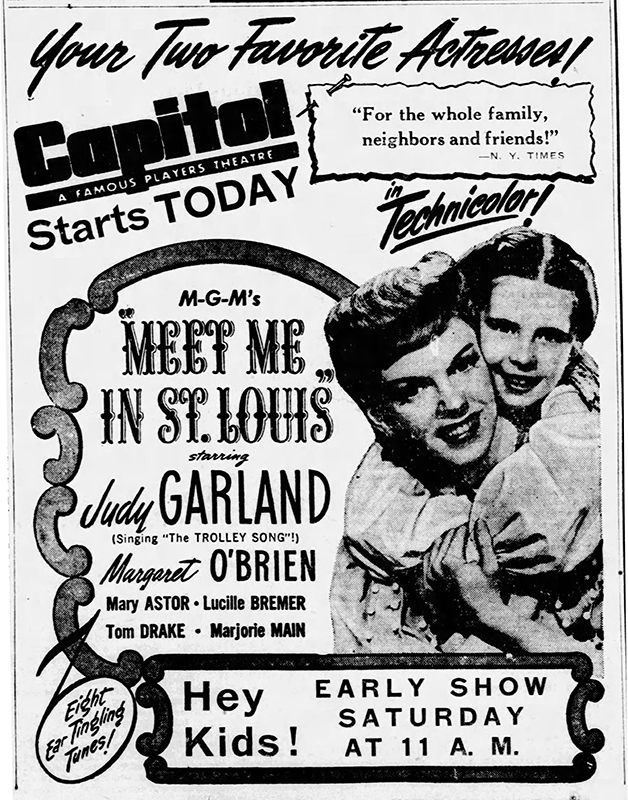 March 2, 1938: Judy’s 1938 Everybody Sing tour was enjoying success in Pittsburgh, Pennsylvania. 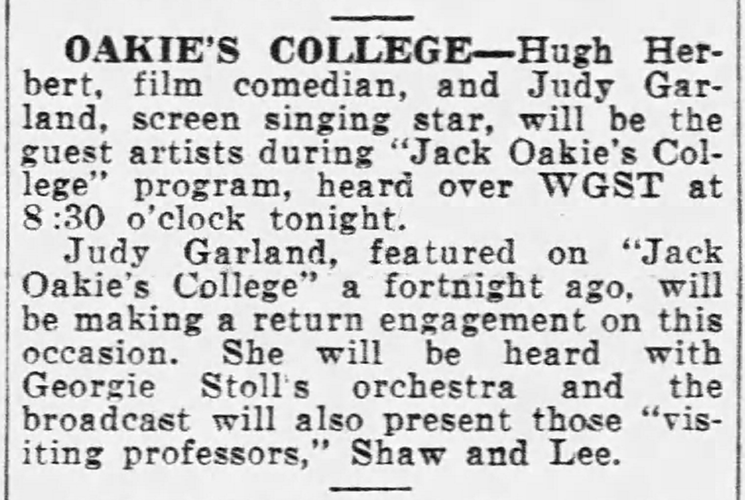 She appeared at the Stanley theater performing between showings of the Frank Morgan film “Paradise For Three.” According to the papers, Judy’s shows were at 12:00, 2:30, 5, 7:20, and 9:50. 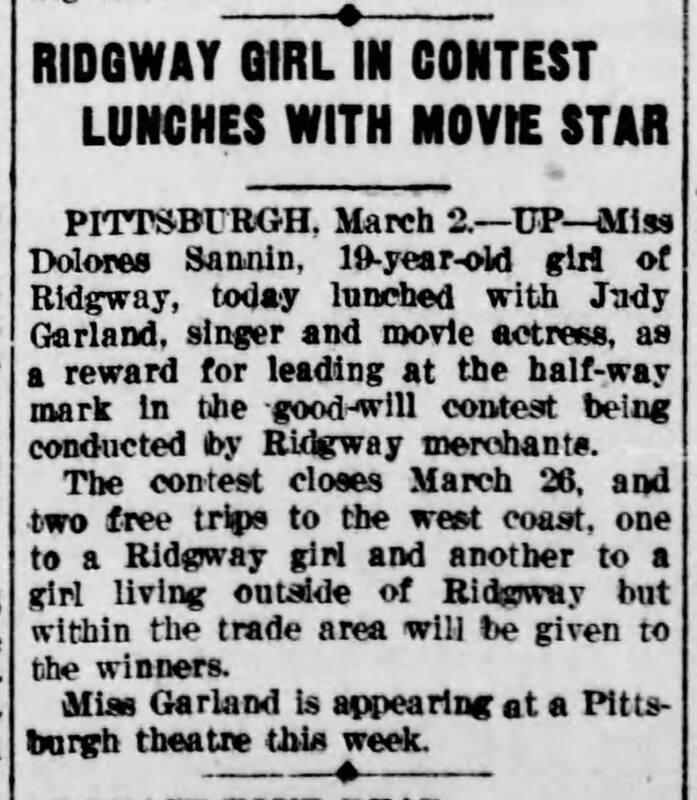 The papers also noted that on this day Judy had lunch with a Miss Dolores Sannin, a 19-year-old girl from Ridgway. See the clipping for details. 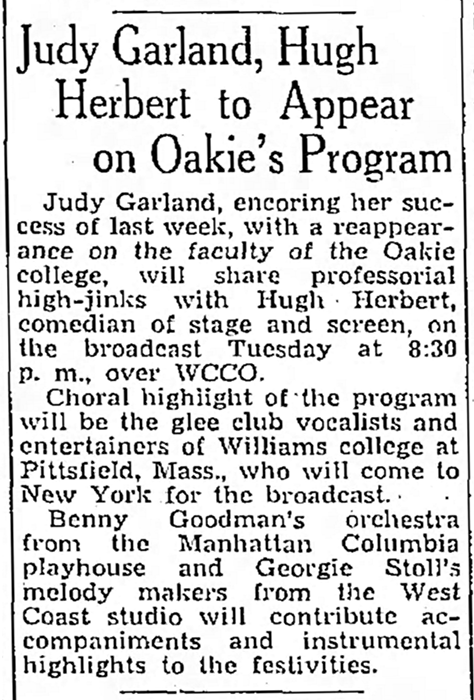 On March 3rd, the paper noted that although the previous day (March 2) was Ash Wednesday, Judy performed six shows although the printed schedule was for five. Either the paper got the number wrong or they added an extra show at the last minute. Also printed on this day was a notice about Judy’s upcoming appearance in Columbus, Ohio, on March 4th. 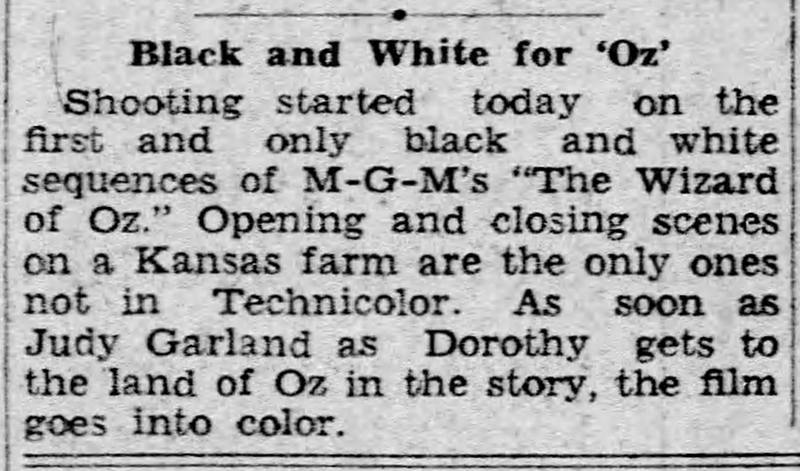 March 2, 1939: MGM was beginning to send out some photos of The Wizard of Oz not only to garner interest but also to gauge the public’s reaction. 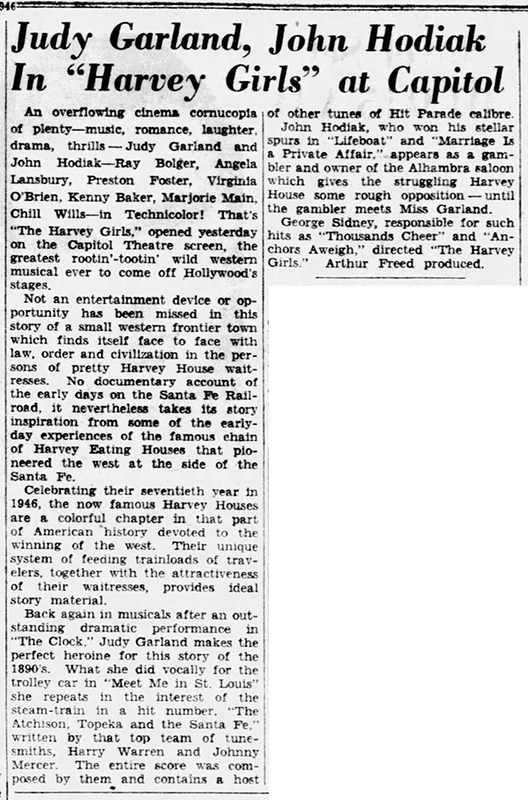 Principal filming had just finished a few days prior, even though this second article incorrectly notes that filming had begun on the Kansas scenes “today.” The film still had a long way to go before its premiere in August, including some pickup scenes, underscoring, effects, and previews. March 2, 1942: Here’s is an amusing story included by Harrison Carroll in his column. 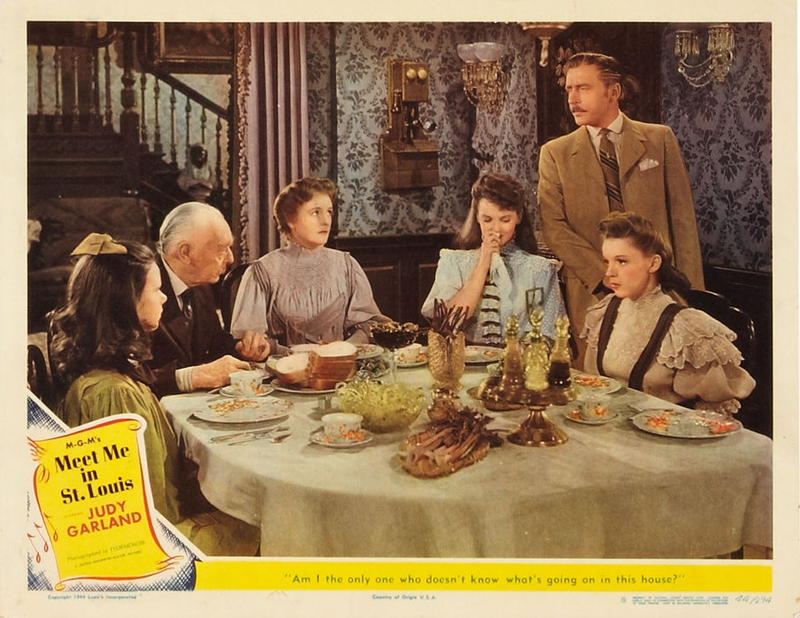 March 2, 1944: Filming on Meet Me In St. Louis continued with rehearsals for the dinner scene and the Halloween sequence. 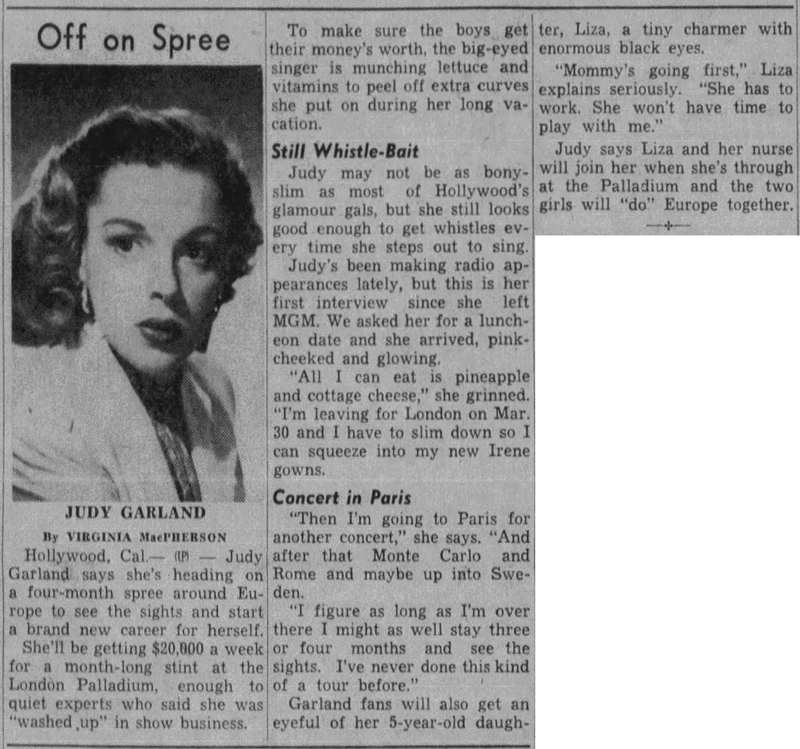 Tome called: 11:00 a.m.; Judy arrived at 11:40 a.m.; dismissed: 3:15 p.m.
March 2, 1945: More pertaining to Meet Me In St. Louis. It’s entirely possible that Judy was attempting to exert some passive-aggressive control over her time. 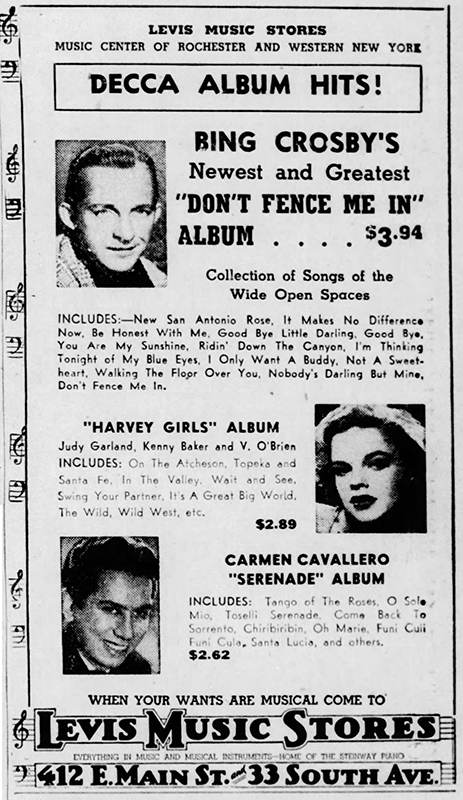 March 2, 1946: More pertaining to The Harvey Girls, including another ad for Decca Records’s wonderful “cast album” of songs from the film. 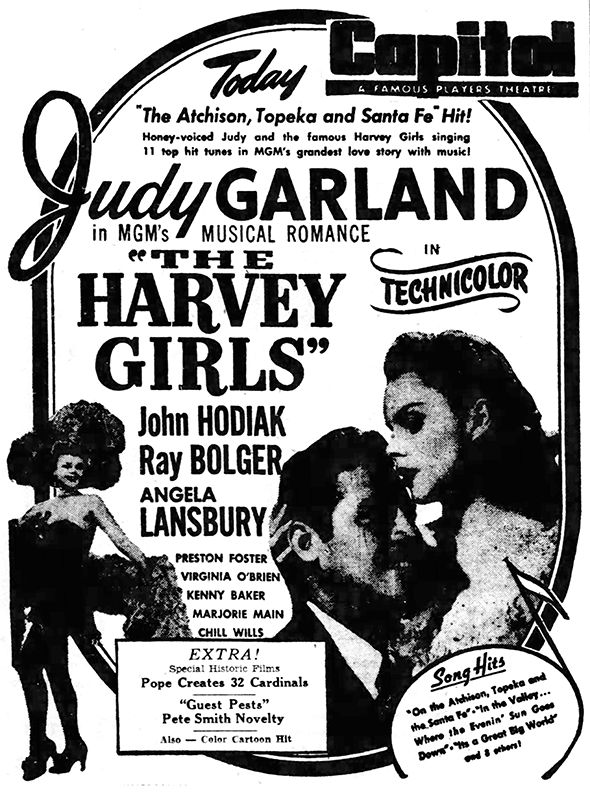 Check out The Judy Garland Online Discography’s Decca Records The Harvey Girls here. 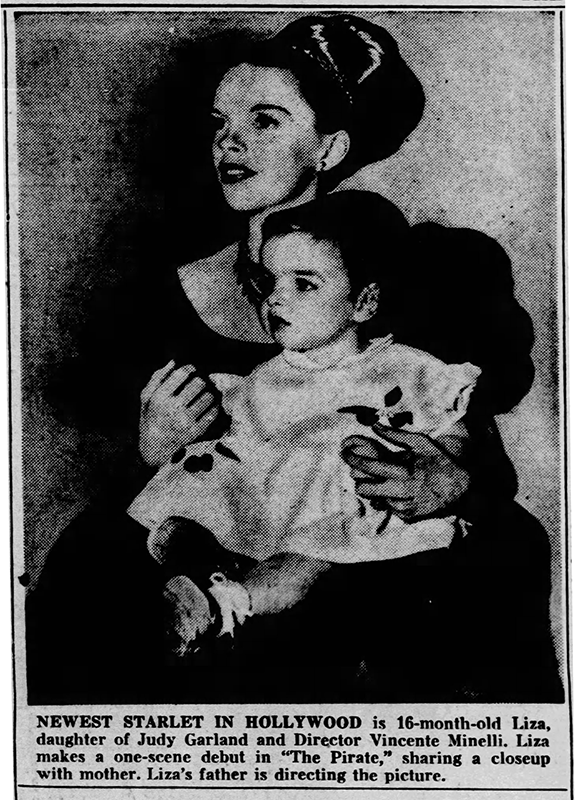 March 2, 1948: Hollywood’s newest starlet, Liza Minnelli! Not really, but here is a fun photo with a caption that Liza would be sharing a closeup with Judy in The Pirate. 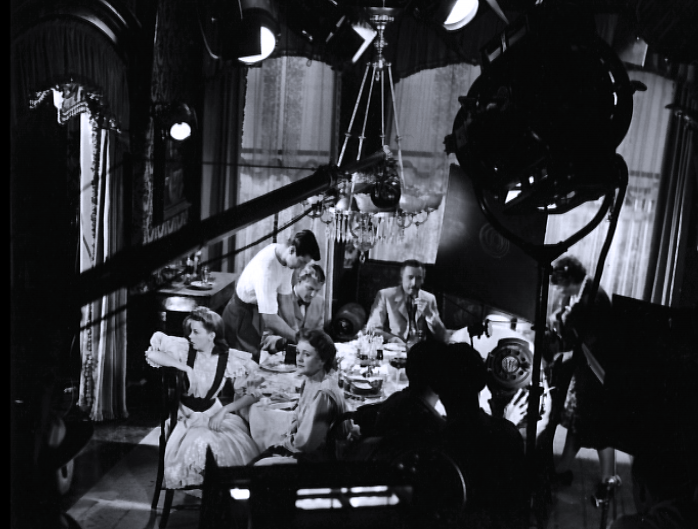 Liza visited the set a couple of times during production and was heavily photographed, resulting in the rumor that Liza was in the film. She wasn’t. But she did make her film debut in 1949 in her mother’s film, In The Good Old Summertime. Also on this date, a second preview for Easter Parade. 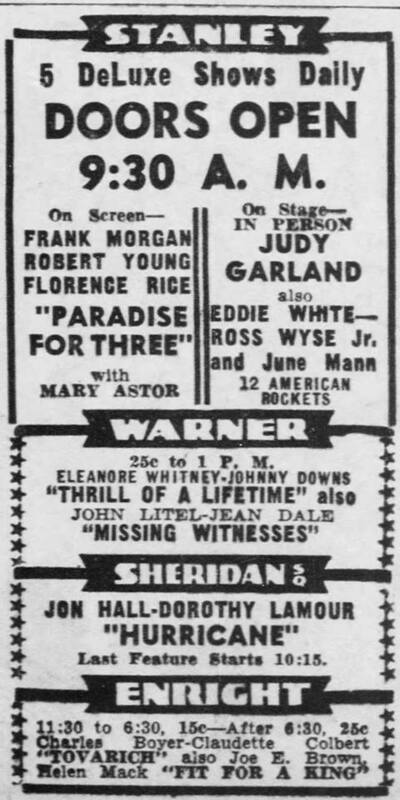 The first preview as at the Westwood Village Theater in Los Angeles, California, on February 28, 1948. It’s not noted where this second preview was held, possible at the same theater. Check out The Judy Room’s Filmography Pages on In The Good Old Summertime here. 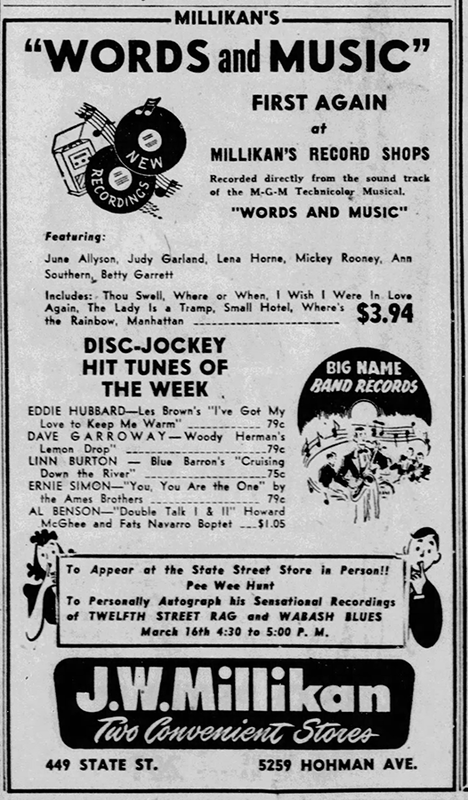 March 2, 1949: Here’s an ad for the MGM Records soundtrack to Words And Music (1948). 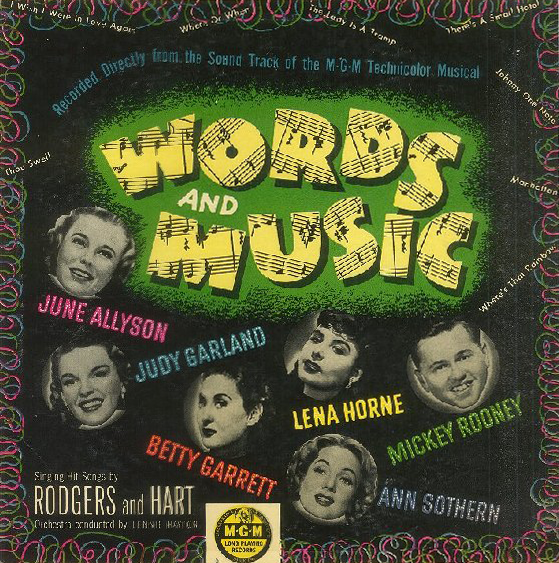 It was the second MGM Records soundtrack of a Judy Garland film. Or in this case, a film in which she guest starred. 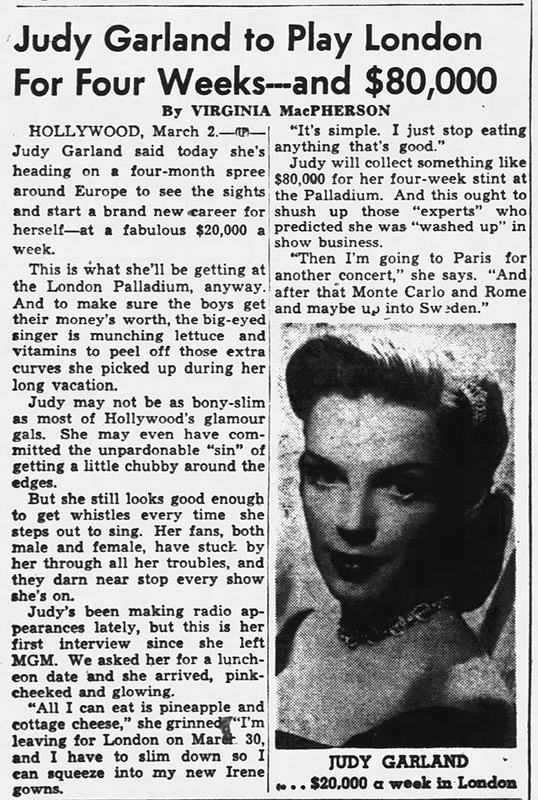 March 2, 1951: The news of Judy’s upcoming concert at London’s Palladium, and the tour made the news. This was a brand new endeavor for Judy which began a whole new phase in her career and life, her legendary concert years. No one knew it at the time, of course, and the news didn’s stop the columnists from talking about her weight. 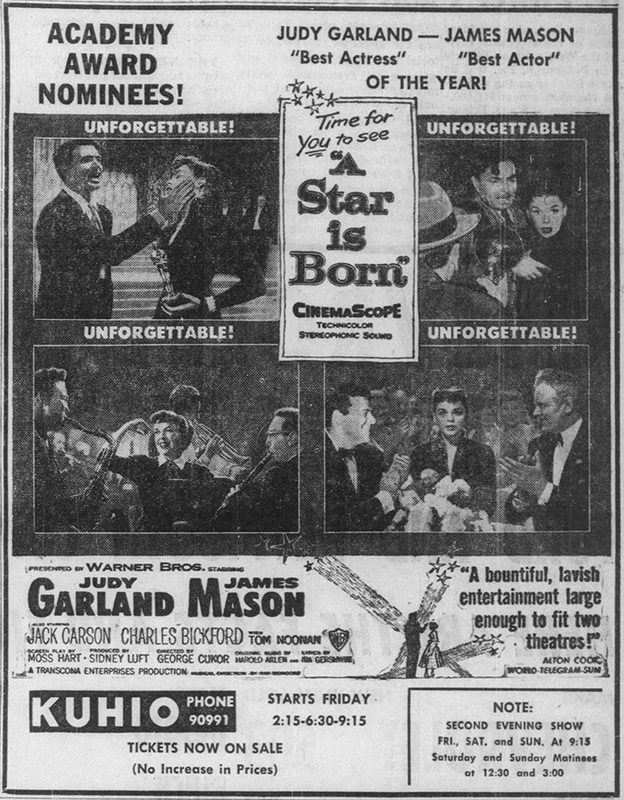 March 2, 1953: Lucy McAleer had just been signed by Warner Bros. and cast in A Star Is Born. The studio changed her name to Lucy Marlow and she played the “sweet unspoiled and down to earth” Lola Lavery. Marlow played the vapid starlet role perfectly and hilariously! 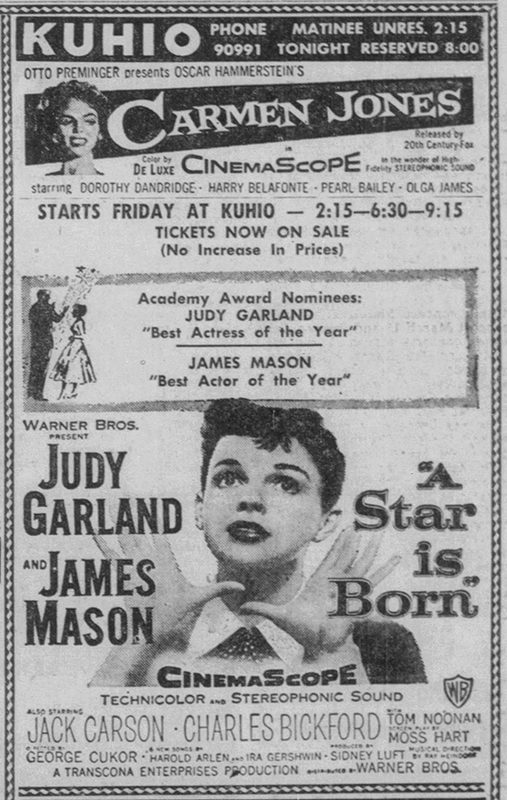 March 2, 1955: Judy was awarded the “Look Magazine” award for “Best Actress” for A Star Is Born. Bing Crosby won “Best Actor” for The Country Girl. 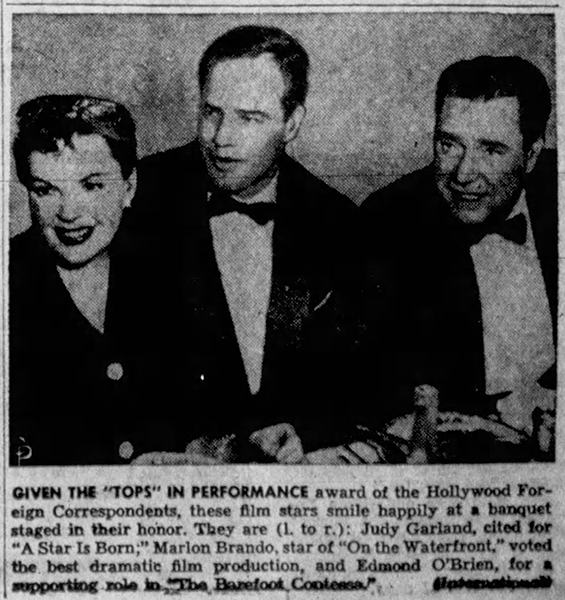 The awards were presented to Judy, Bing, and the other winners on Red Skelton’s show on March 8. March 2, 1961: Judy arrived in Hollywood, California, from London, England, to begin work on her next film, Judgment at Nuremberg. 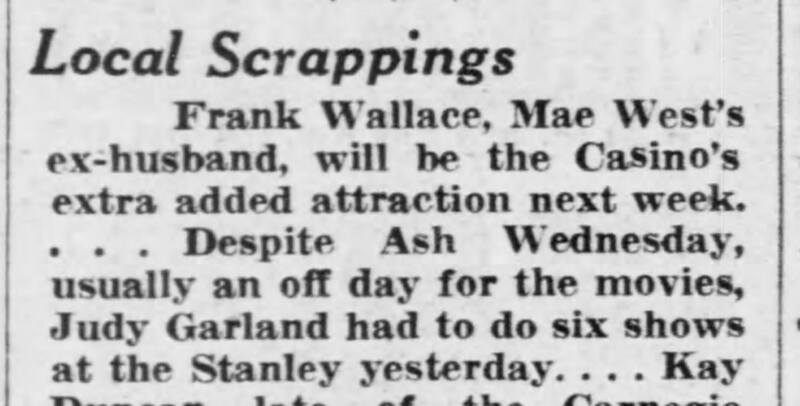 March 2, 1962: Readers of “The Philadelphia Enquirer” who were also Garland fans wrote in to give their opinions on the paper’s review of Judy’s recent special with Frank Sinatra and Dean Martin, aired on February 25, 1962. One reader complained about too many specials in general, not necessarily Judy, preferring the regular lineup of “What’s My Line?” and “Car 54 Where Are You?” You can’t please everyone! March 2, 1963: Judy and husband Sid Luft had reconciled and taken a “honeymoon” in San Francisco, California, (February 19) where they stayed at the Fairmont Hotel and aw Vic Damone perform. This photo was taken at that time but published on this date. March 2, 1963: Hedda Hopper’s new book, “The Whole Truth and Nothing But,” was featured with excerpts focused on various stars. Part Seven put the spotlight on Judy. WHEN I worked for Metro, stage mothers lingered outside the gates at the Culver City studios, waiting to catch some dignitary’s eye or for a chance, which seldom came, to slip past the guards into the maze of narrow streets that would between the big barns plastered with stucco which were called sound stages. Some children made it. There were two in particular, a boy and a girl, who captured the imagination of all. The boy had once had his hair dyed black by his mother so he could get a job in two-reel silent comedies. 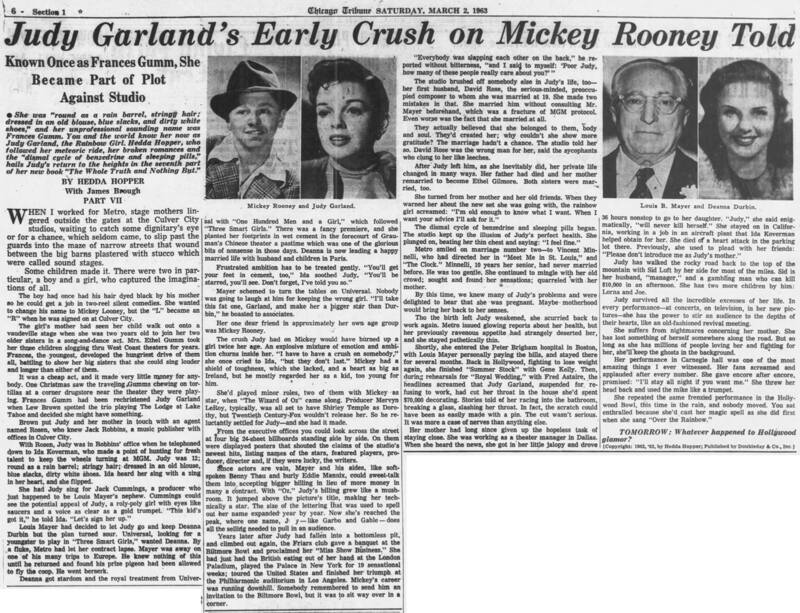 She wanted to change his name to Mickey Looney, but the “L” became an “R” when he signed on at Culver City. The girl’s mother had seen her child walks out onto a vaudeville stage when she was two years old to join her two older sisters in a song-and-dance act. Mrs. Ethel Gumm took her three children slogging thru West Coast Theaters for years. Frances, the youngest, developed the hungriest drive of them all, battling to show her big sisters that she could sing louder and longer than either of them. It was a cheap act, and it made very little money for anybody. On Christmas saw the traveling Gumms chewing on tortillas at a corner drugstore near the theater they were playing. Frances Gumm had been rechristened Judy Garland when Lew Brown spotted the trio playing The Lodge at Lake Tahoe and decided she might have something. Brown put Judy and her mother in touch with an agent named Rosen, who knew Jack Robbins, a music publisher with offices in Culver City. With Rosen, Judy was in Robbins’ office when he telephoned down to Ida Koverman, who made a point of hunting for fresh talent to keep the wheels turning at MGM. Judy was 12; round as a rain barrel; stringy hair; dressed in an old blouse, blue slacks, dirty w white shoes. Ida heard her sing with a zing in her heart, and she flipped. Louis Mayer had decided to let Judy go and Keep Deanna Durbin but the plan turned sour. Universal, looking for a youngster to play in “Three Smart Girls,” wanted Deanna. By a fluke, Metro had let her contract lapse. Mayer was away on one of his many trips to Europe. He knew nothing of this until he retired and found his prize pigeon had been allowed to fly the coop. He went Berserk. Deanna got stardom and the royal treatment from Universals with “One Hundred Men and a Girl,” which followed “Three Smart Girls.” There was a fancy premiere, and she planted her footprints in wet cement in the forecourt of Grauman’s Chinese theater a pastime which was one of the glorious bits of nonsense in those days. Deanna is now leading a happy married life with husband and children in Paris. Mayer schemed to turn the tables on Universal. Nobody was going to laugh at him for keeping the wrong girl. “I’ll take this fat one, Garland, and make her a bigger star than Durbin,” he boasted to associates. Her one dear friend in approximately her own age group was Mickey Rooney. The crush Judy had on Mickey would have burned up a girl twice her age. An explosive mixture of emotion and ambition churns inside her. “I have to have a crush on somebody,” she once cried to Ida, “but they don’t last.” Mickey had a shield of toughness, which she lacked, and a heart as big as Ireland, but he mostly regarded her as a kid, too young for him. She’d played minor roles, two of them with Mickey as star, when “The Wizard of Oz” came along. Producer Mervyn LeRoy, typically, was all set to have Shirley Temple as Dorothy, but Twentieth Century-Fox wouldn’t release her. So he reluctantly settled for Judy – and she had it made. Front he executive offices you could look across the street at four big 24-sheet billboards standing side by side. On them were displayed posters that shouted the claims of the studio’s newest hits, listing names of the stars, featured players, producer, director and, if they were lucky, the writers. Since actors are vain, Mayer and his aides, like soft-spoken Benny That and burly Eddie Mannix, could sweet-talk them into accepting bigger billing in lieu of more money in many a contract. 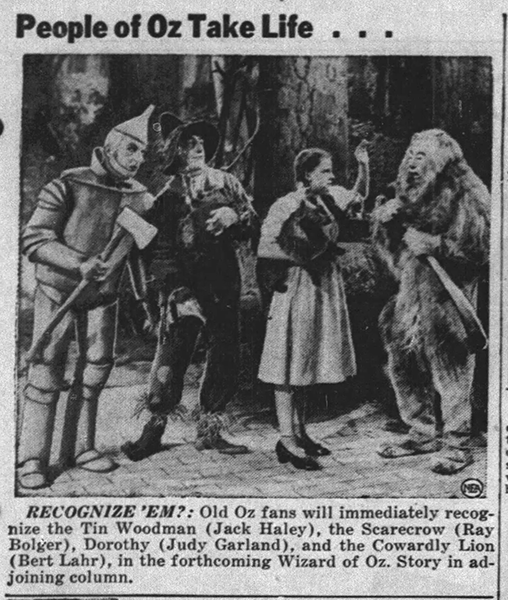 With “Oz,” Judy’s billing grew like a mushroom. It jumped above the picture’s title, making her technically a star. The size of the letting that was used to spell out her name expand year by year. Now she’s reached the peak, where one name, Judy – like Garbo and Gable – does all the selling needed to pull in an audience. Years later after Judy had fallen into a bottomless pit, and climbed out again, the Friars club gave a banquet at the Biltmore Bowl and proclaimed her “Miss Show Business.” She had just had the British eating out of her hand at the London Paladium [sic], played the Palace in New York for 19 sensational weeks; toured the United States and finished her triumph at the Philharmonic Auditorium in Los Angeles. Mickey’s career was running downhill. Somebody remembered to send him an invitation to the Biltmore Bowl, but it was to sit way over in a corner. The studio brushed off somebody else in Judy’s life, too – her first husband, David Rose, the serious-minded preoccupied composer to whom she was married at 19. She made two mistakes in that. She married him without consulting Mr. Mayer beforehand, which was a fracture of MGM protocol. Even worse was the fact that she married at all. They actually believed that she belonged to them, body and soul. They’d created her; why couldn’t she show more gratitude? The marriage hadn’t a chance. The studio told her so. David Rose was the wrong man for her, said the sycophants who clung to her like leeches. After Judy left him, as she inevitably did, her private life changed in many ways. Her father had died and her other had remarried to become Ethel Gilmore. Both sisters were married, too. Metro smiled on marriage number two – to Vincent [sic] Minnelli, who had directed her in “Meet Me in St. Louis,” and “The Clock.” Minnelli, 10 years her senior, had never married before. She was too gentle. She continued to mingle with her old crowd; sough and found her sensations; quarreled with her mother. By this time, we knew many of Judy’s problems and were delighted to hear that she was pregnant. Maybe motherhood would bring her back to her senses. Tho the birth left Judy weakened, she scurried back to work again. Metro issued glowing reports about her health, but her previously ravenous appetite had strangely deserted her, and she stayed pathetically thin. Shortly, she entered the Peter Brigham hospital in Boston, with Louis Mayer personally paying the bills, and stayed there for several months. Back in Hollywood, fighting to lose weight again, she finished “Summer Stock” with Gene Kelly. 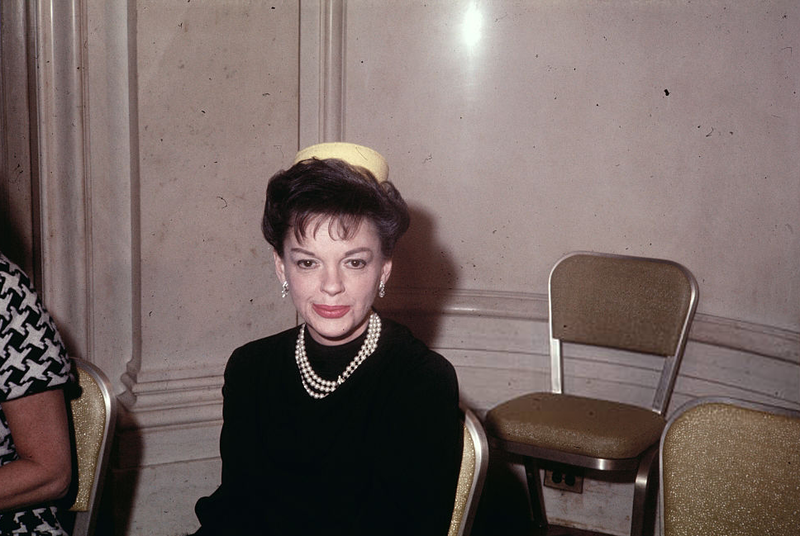 Then, during rehearsals for “Royal Wedding,” with Fred Astaire, the headlines screamed that Judy Garland, suspended for refusing to work, had cut her throat in the house she’d spent $70,000 decorating. Stories town of her racing into the bathroom, breaking a glass, slashing her throat. In fact, the scratch could have been as easily made with a pin. The cut wasn’t serious. It was more a case of nerves than anything else. Judy has walked the rocky road back to the top of the mountain with Sid Luft by her side for most of the miles. Sid is her husband, “manager,” and a gambling man who can kill $10,000 in an afternoon. She has two more children by him: Lorna and Joe. 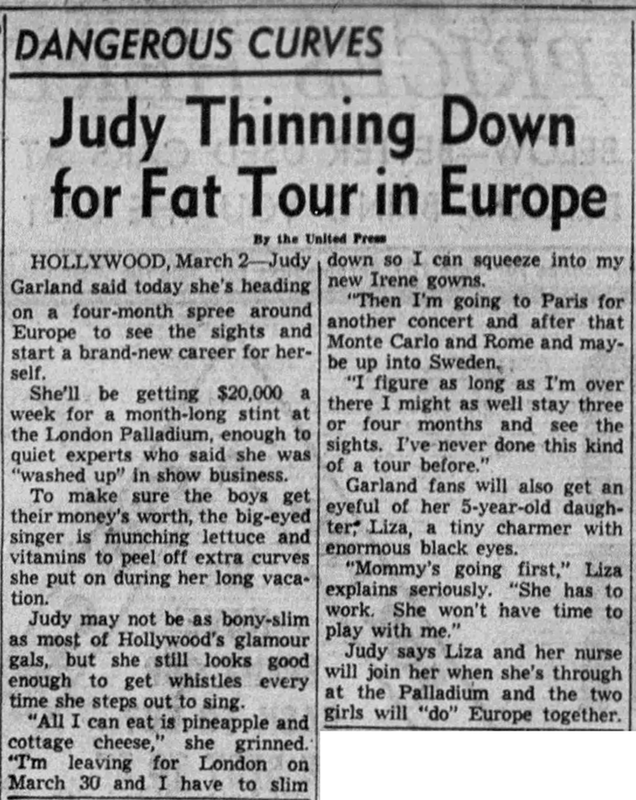 Judy survived all the incredible excesses of her life. In every performance – at concerts, on television, in her new pictures – she has the power to stir an audience to the depths of their hearts, like an old-fashioned revival meeting. She suffers from nightmares concerning her mother. She has lost something of herself somewhere along the road. But so long as she has millions of people loving her, she’ll keep the ghosts in the background. Her performance in Carnegie hall [sic] was one of the most amazing things I ever witnessed. Her fans screamed and applauded after every number. She gave encore after encore, promised: “I’ll stay all night if you want me.” She threw her head back and used the mike like a trumpet. 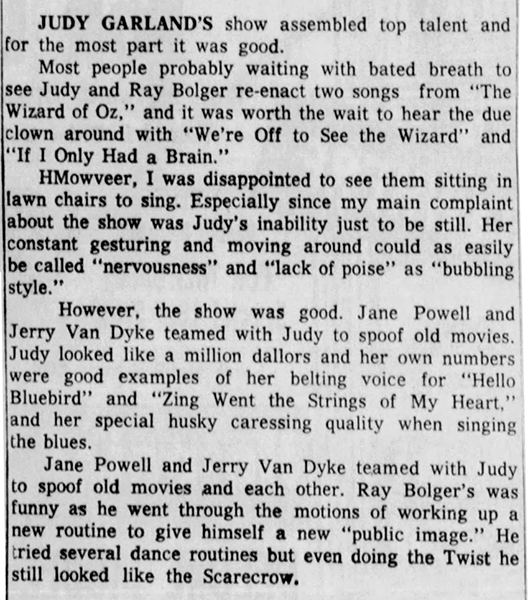 March 2, 1964: Here is a review of the previous night’s installment of Judy’s TV series, in which her guests were Ray Bolger and Jane Powell. 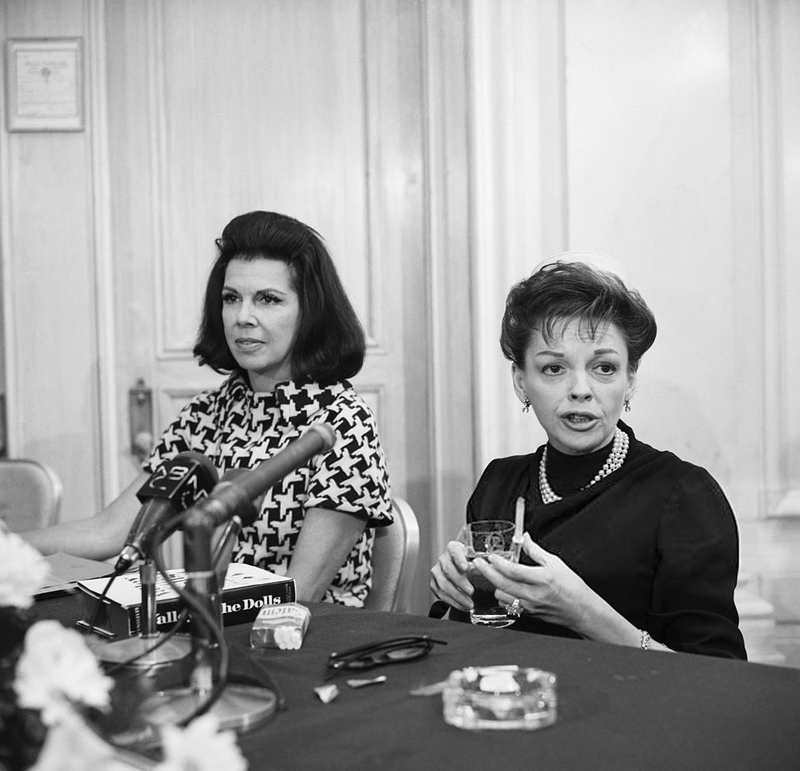 March 2, 1967: Judy held a press conference at the Versailles Room of the St. Regis Hotel in New York to officially announce her participation in the upcoming production of Valley of the Dolls. 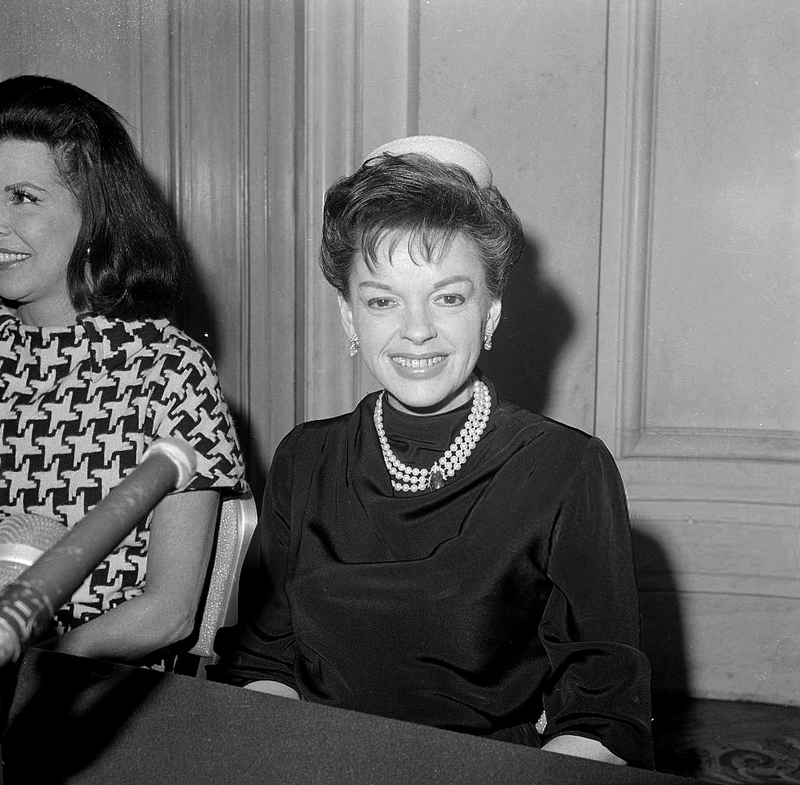 The book’s author, Jacqueline Susann sat next to Judy. 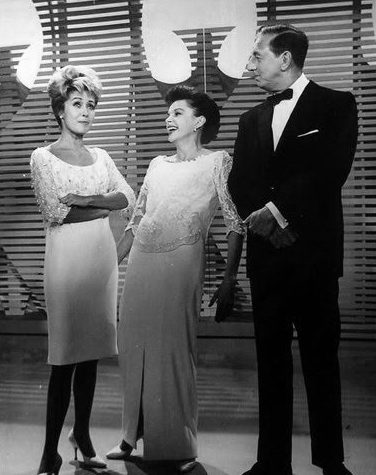 Afterward, Judy went to Liza’s final fitting at Annemarie Gardin’s, the designer of her wedding gown (she and Peter Allen were wed the next day, March 3rd). 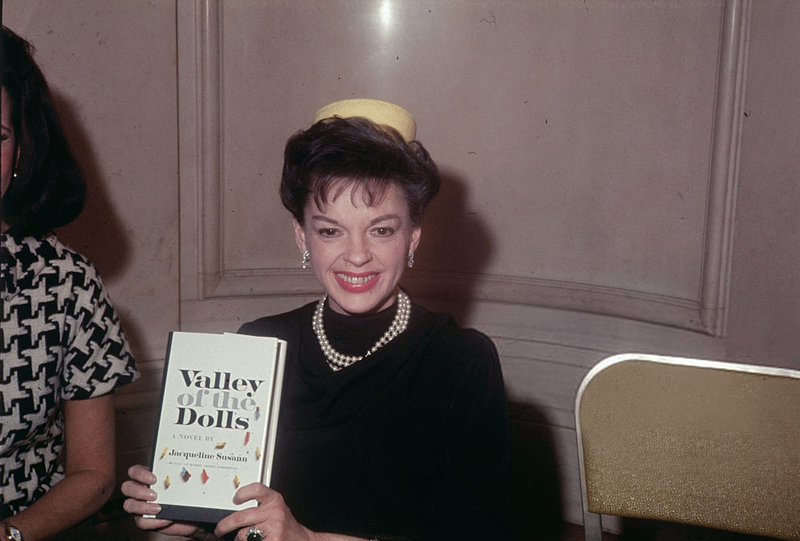 Check out The Judy Room’s Filmography Page about Valley of the Dolls here. 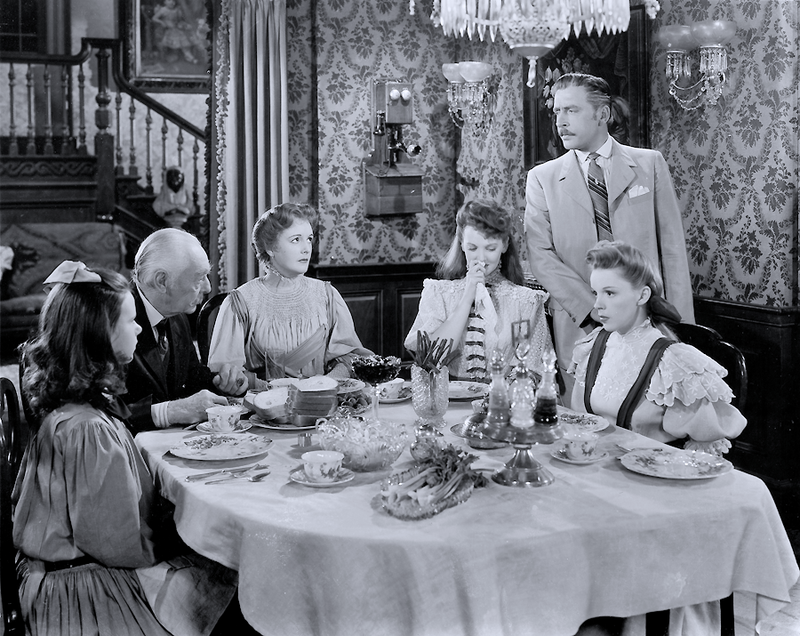 Of interest: “The Harvey Girls” really seems to be a major turning point in her MGM behavior. She was notoriously late, and that strange bit about NOT wanting her personal phone number known by the studio is extremely telling. 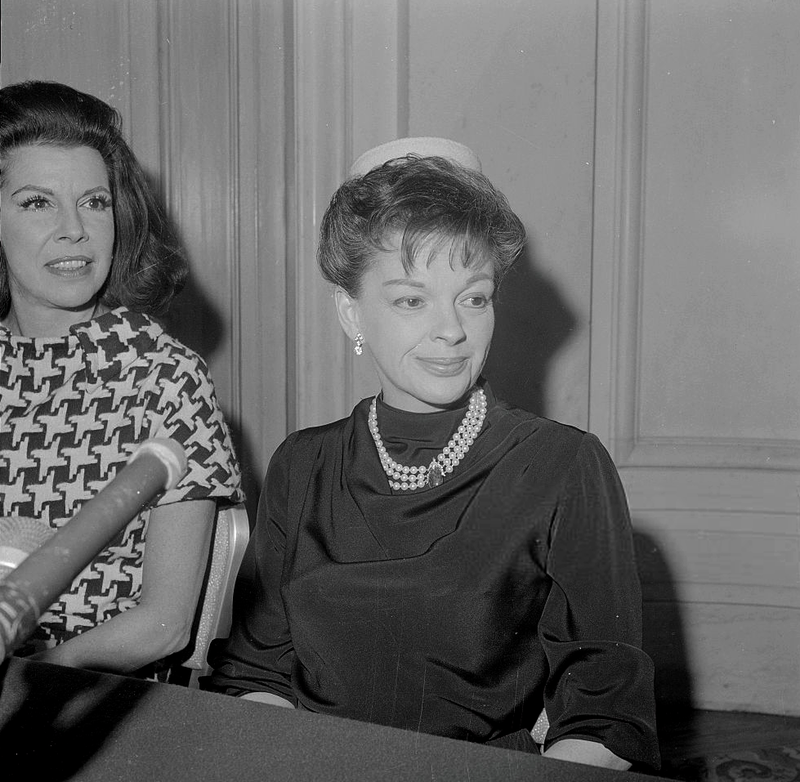 This also seems to be the period where she first decided to leave Metro following her marriage to Minnelli (this, despite the massive growth in her talent, beauty and film budgets. I’d wager she knew she simply couldn’t sustain the increasing pressure of super stardom much longer at Metro). 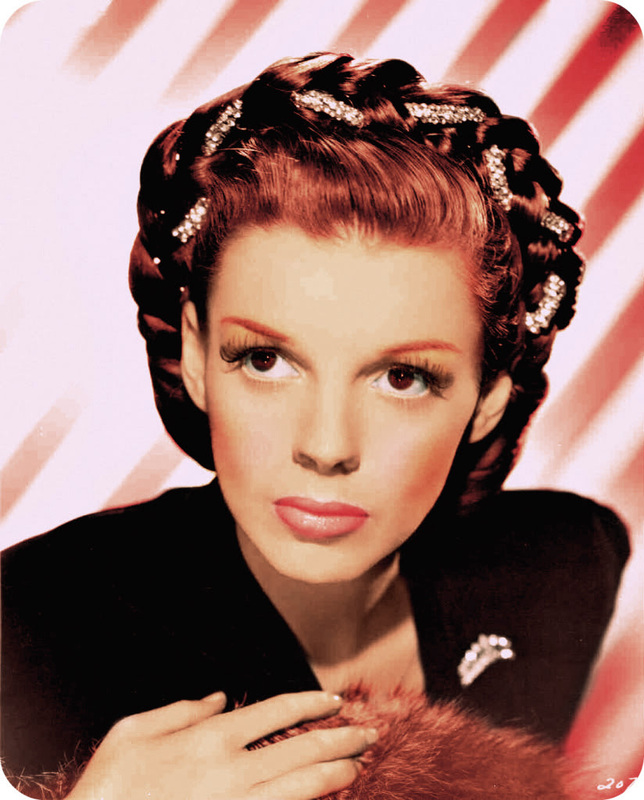 Question: is that gorgeous 1944 pic of Judy colorized or in true color? It’s one of my all-time favorites, but I’ve only seen it in black-and-white! The photo is colorized. It’s a vintage colorization, meaning it was done back then and not via PhotoShop. As far as I know, unless it’s a flawless PhotoShop job. Some people are very talented with it. She seemed to really star rebelling, even as far back as 1943. I think the incident with Berkeley and the filming of “I Got Rhythm” and how she was worked right into bed rest, was the beginning.